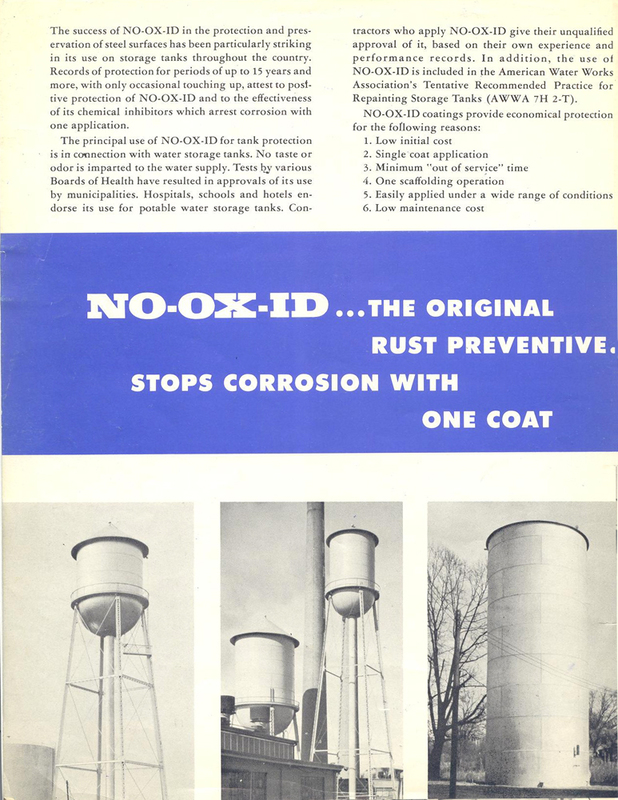 Order NO-OX-ID A Special Anti Rust Coating direct from Sanchem! 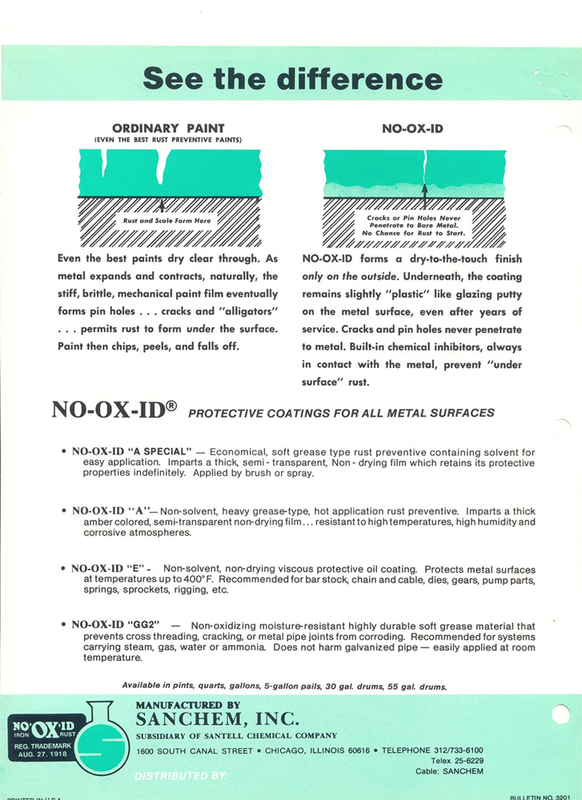 NO-OX-ID A-Special is a heavy duty anti-corrosion coating that requires minimal surface preparation and is the long-term solution for lubrication and corrosion control. This NSF Standard 61 approved cosmoline type rust preventative coating is often used as an anti-condensation coating on structural steel, in acid pickling areas, brine tanks, inside water tanks, ice plants, steel cables, bridges and cofferdams. NO-OXID is easy to use successfully. For rusty surfaces, NO-OX-ID requires only the use of power brushes to remove loose rust and milscale before application. NO-OX-ID A-Special WW is easy to use; application is generally done by brush, roller with a ¾” nap, or airless spray equipment. NOTE: NO-OX-ID high humidity & salt rust preventative coatings can be applied in any climate. In fact, NO-OX-ID can even be applied to a wet surface. To demonstrate this to yourself, in a small container of water, submerge a small piece of clean metal. Dip the other hand in NO-OX-ID A-Special and rub it on the metal while under water. Notice the excellent bond of the NO-OX-ID to the metal! How safe is NO-OX-ID A-Special? This RoHS compliant corrosion protection product is NSF approved for drinking water tanks and USDA approved as a lubricant/rust proofing compound for meat & poultry plants. Coast Guard experiences with NO-OX-ID. 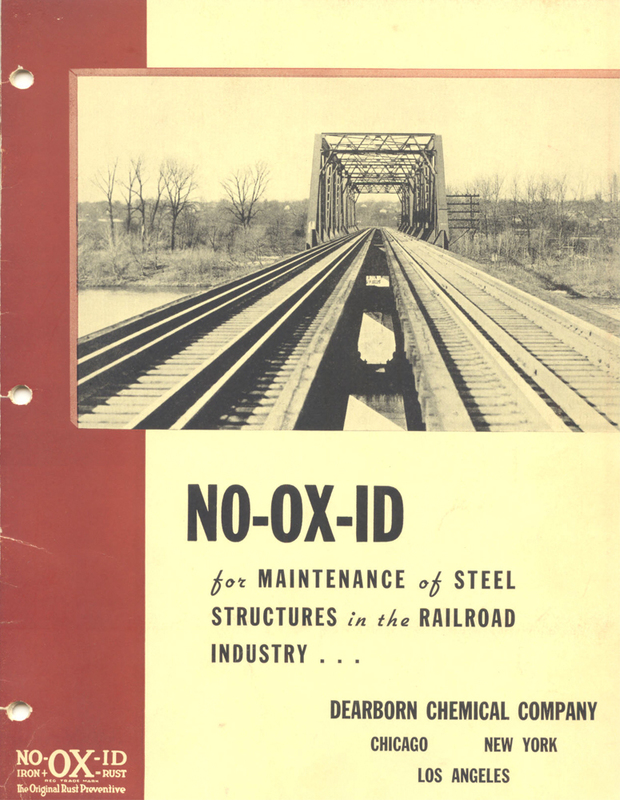 The 14th district has been using NO-OX-ID for over 30 years. NO-OX-ID has been used to protect metal surfaces on the 1350ft (412m), 1000ft (303m), 625ft (191m), and 129ft (39m) towers formerly part of the 14th U.S. Coast Guard District. The towers are located at Bataan and Naulo Point, Philippines. 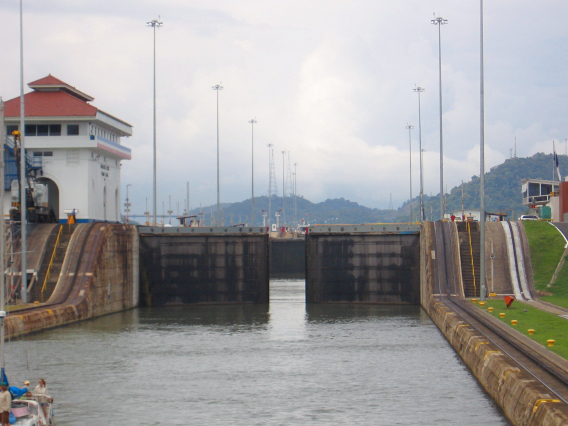 NO-OX-ID protected the steel, aluminum and galvanized metal from corrosion in this very aggressive, tropical, marine environment. Use NO-OX-ID for general all purpose marine corrosion control. 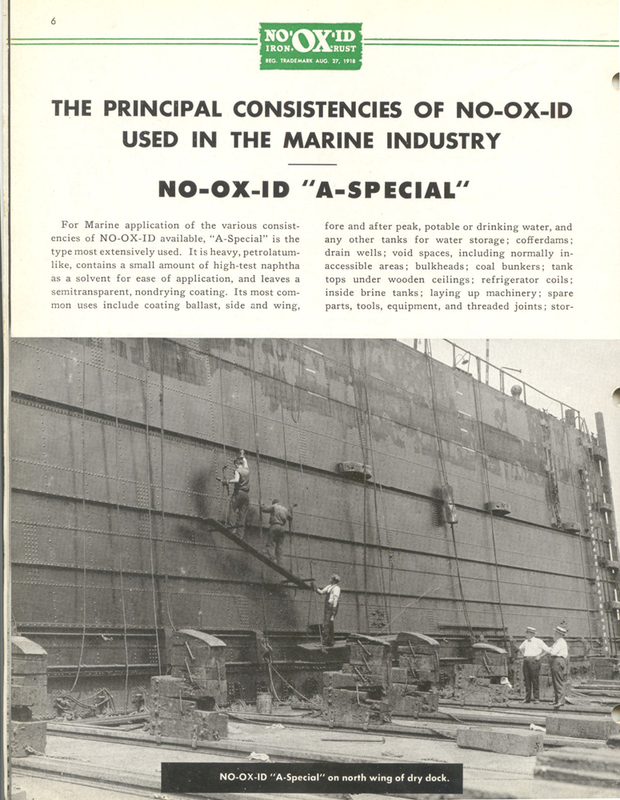 Long term Corrosion Control: In 1919, after World War I, NO-OX-ID was used by the navy to put the majority of the naval fleet into "mothballs". In 1940, twenty years later, 50 destroyers that were protected with NO-OX-ID were cleaned and sent to Great Britain Inspection after cleaning found the protected metal to be in perfect condition! Prevent Lime Build-up- NO-OX-ID provides metal coating protection that has been used in maintenance water clarification system expansion joints and in the concrete basins next to lime slackers to prevent concrete erosion. The flexible undersurface, allows for chemical rust inhibitors to remain in close contact with irregular surfaces and naturally expanding and contracting metal surfaces. 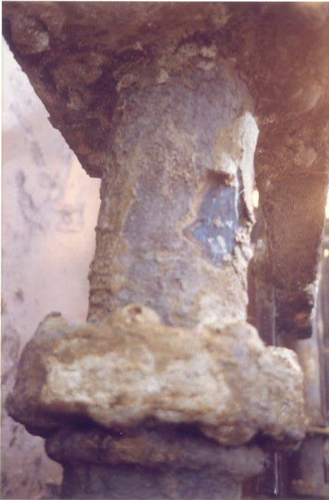 These water utilities also used NO-OX-ID on their chains, pulleys, and other metal surface in and around these setting tanks. Notice that the metal below the coating on this water treatment equipment is in perfect condition. Prevent Biological Attack: NO-OX-ID Rust Preventative marine coating stops the biological attack of algae, zebra mussels, and other sea urchins to metal, plastic, and concrete structures in water. NO-OX-ID's non-drying flexible attributes discourage stable anchoring necessary for biological attachment. 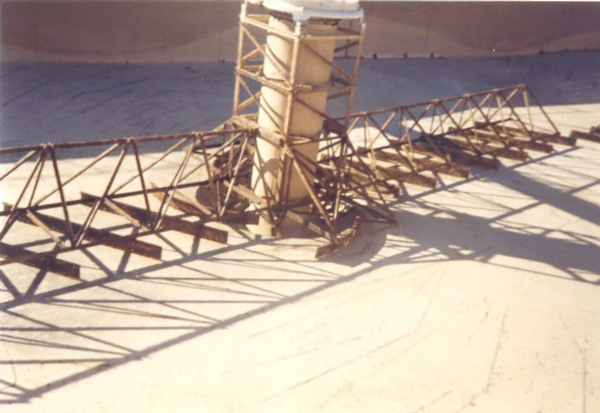 Facilities Security: A chemical plant engineer in the Louisiana bayou had a metal cyclone fence that had to be replaced every couple of years due to the high humidity. He has used our anti-condensation coating on his fence now for over 30 years and he has not replaced it since. Furthermore, he said company security people love the product because nobody wants to touch it so they have not been breaking in! NO-OX-ID A-SPECIAL WW rust proof coating is a NSF Approved heavy duty wax based rust preventative designed for either cold or hot application methods. The resultant corrosion resistant coating is amber colored, non-drying resistant to high humidity, salt spray, acid and alkali environments. NO-OX-ID A-SPECIAL anti rust coating is a soft, wax based rust preventative and lubricant that contains an active rust inhibitor and small amount of solvent for ease of application. This corrosion resistant coating can be applied by sprays or brush application. 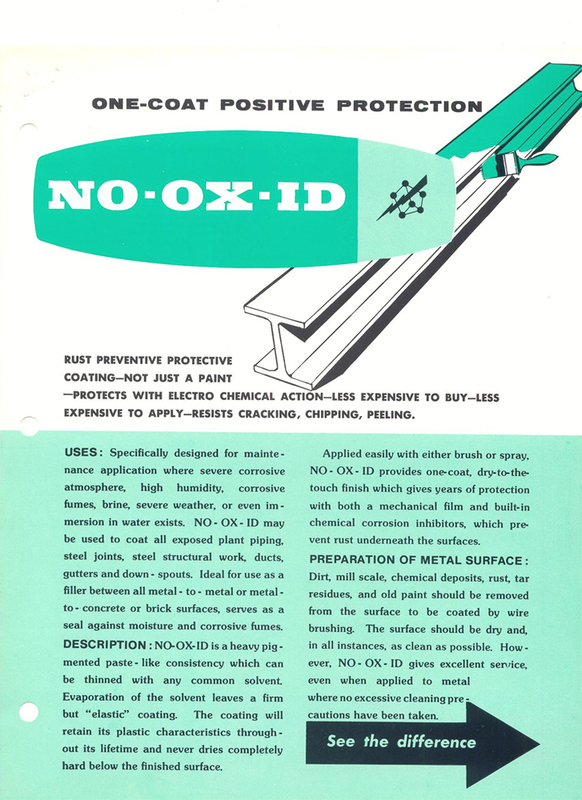 NO-OX-ID controls corrosion by leaving a thick, semi-transparent, non-drying barrier coating that retains its anti rust properties indefinitely. 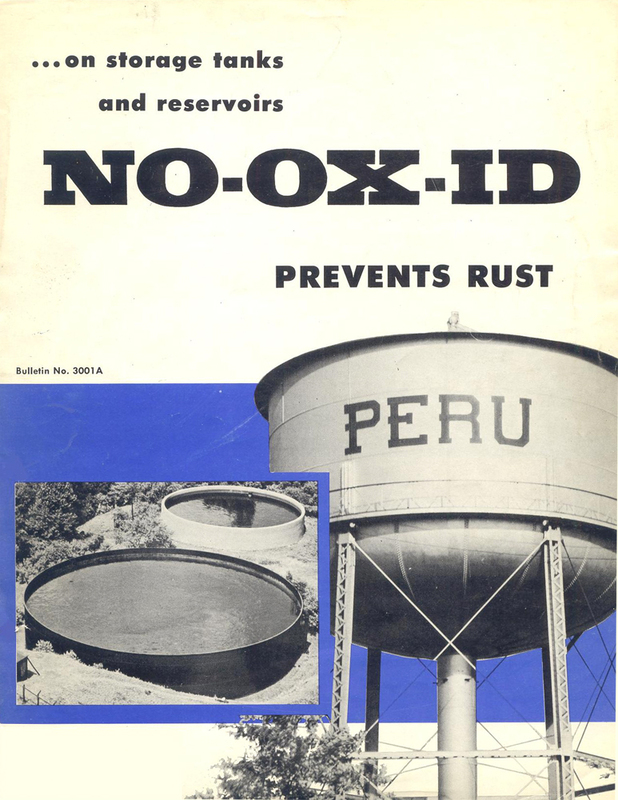 NO-OX-ID products have been protecting pipes and valves against rust and corrosion for years in the most severe of environments such as ocean tidal areas, lock & dams, salt plants, chemical manufacturing plants, pineapple processing plant, and sewage treatment plants.